The 4 Best Ways Coaches Can Make Money Speaking - Coach & Grow R.I.C.H. You probably know that public speaking for free is a great way to market your coaching services, grow your email list and find new clients. 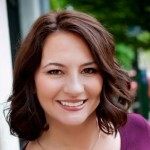 Hi there – Deanna Maio here and I’m so glad Michelle asked me to share this article with you today. Public speaking is one of the best activities that you can do to generate revenue in your business. I know this from years of public speaking myself and also from coaching lots of small business owners who use speaking in their businesses. This may seem obvious, but too many coaches miss out on connecting with potential clients because they don’t know what to do. The secret is inviting audience members to have a free strategy session with you and then making it easy for them to sign-up. For example, you can have people choose a specific time slot from a sign-up sheet in the back of the room, have people fill out a feedback form with an option to have a strategy session or have them write “session” on their business card and submit it during a raffle. KEY: Be sure to follow up right away to confirm the strategy session and don’t allow too much time to pass before conducting it. Whether in the form of a book, a membership website, or an audio program (or all three), you can sell your expertise and knowledge to those who wish they had it. Your target audience will want more from you once you’ve delivered an interesting and informative presentation to them. It would be shameful to not give it to them. It’s not difficult to write or have a book written for you today. You can self-publish a book as fast as you can get it written using a service such as Create Space and other print-on-demand services. You can also publish straight to Kindle, but people who come to your events will appreciate the ability to get a signed and autographed copy of your book. Obviously, getting paid directly for your speaking skills is always wonderful. Contact speakers bureaus, send them your One Sheet and get on their list of potential speakers for the organizations they represent. 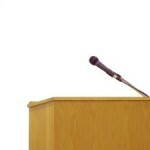 Usually each professional association, conference, or organization has a speakers bureau it works with. Call the organization and ask them who books their speakers. TIP: If you are not getting paid to speak, make sure that you can offer your services at the end of your talk or sell products or programs in the back of the room. Also instead of “speaking for free” agree to “waive your speaking fee” to better position yourself for future paid engagements. The audio or video recording of your presentation can be sold to those who could not show, offered as an up-sell or premium to those who did attend or turned into a brand new stand-alone product! KEY: Always get permission to make a recording of your presentation. Sometimes you can get permission to include audience participation, but if you just record yourself doing your presentation that is fine too. Do you see ways to generate more revenue in your business from speaking? Do you have any questions? Michelle and I would love to know. Post your comments or questions below and I’ll get right back to you. P.S. Are you using speaking (or another activity) in your business and NOT getting the results you want? Let’s talk. As one of the C&GR Associate Coaches I provide free strategy sessions to people who are serious about becoming a successful coach. Apply for a free strategy session today and let’s talk about how you can get private 1-1 coaching on the proven, step-by-step Coach & Grow R.I.C.H. system so you can create a sustainable, thriving and rewarding coaching business that enables you to live the life and lifestyle you desire. I only have a limited number of slots available, so if this interests you, please click here to apply today. Great information Deanna! :) You learn something new every day, even when you think you know it all. LOL It was the ‘waiving the fee’ statement that was a new tip! Love it. Thanks so much for being so generous with your information about speaking. It’s such a joy us being fellow C&GR Coaches in this community. You rock!